What is the Max RAM Amount that Your Computer Can Support? What is the Max RAM that Your Computer Can Support? Learn what limits the max RAM amount that your computer is able to support and find out how to increase your maximum RAM limit right here. Let's begin with the CPU first. It matters if your CPU is 32 bit (x86) or 64 bit (x64) because this affects what type of operating system you can install. If you have a 32 bit CPU, you will only be able to install 32 bit operating systems, which effectively lowers maximum amount of RAM to just 4GB. 3. 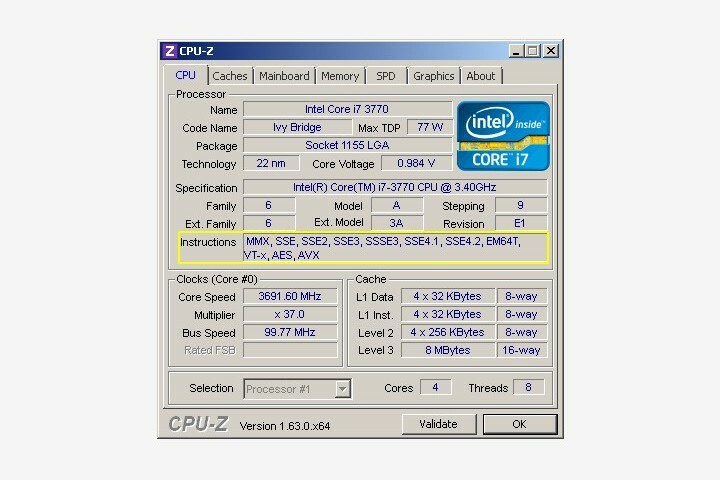 If your processor is 64 bit, it will show EM64T or AMD64 under "Instructions"
Taking a closer look at the table above, you will notice that 32 bit operating systems can access just 4GB of RAM at most. And there's more bad news: This 4GB memory limit is shared between RAM and other devices (e.g. video, audio and network memory) so this further reduces the amount of available RAM to 3 - 3.5GB in most cases. Lesson of the day: If you intend to have 4GB of RAM or more, it's highly recommended that you install a 64 bit operating system (unless you are stuck with primitive device drivers or programs that only work in 32 bit). 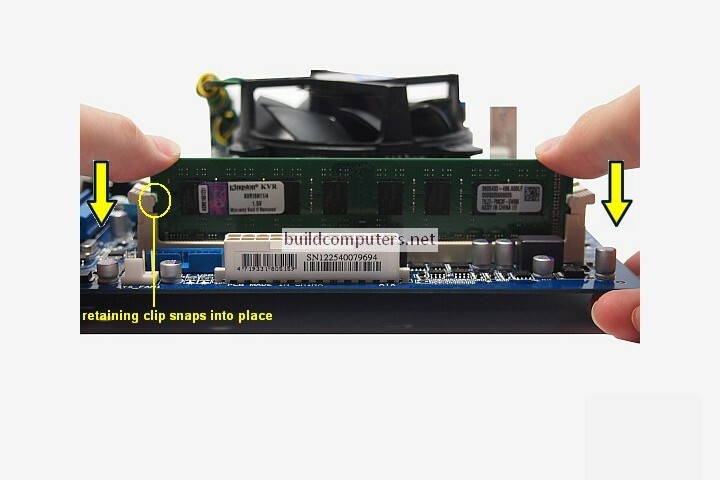 If you're a laptop user, then your owner's manual will contain the answer to the maximum amount of RAM that can be supported. Just look for it under "technical specifications". Digesting everything that we have explained so far, a computer with a 64 bit processor, running Windows 8 64 bit (128GB RAM limit) and having a motherboard that supports up to 32GB of RAM... will be able to support up to 32GB of RAM.